← 71. Anstruther. 31st Oct 2017. 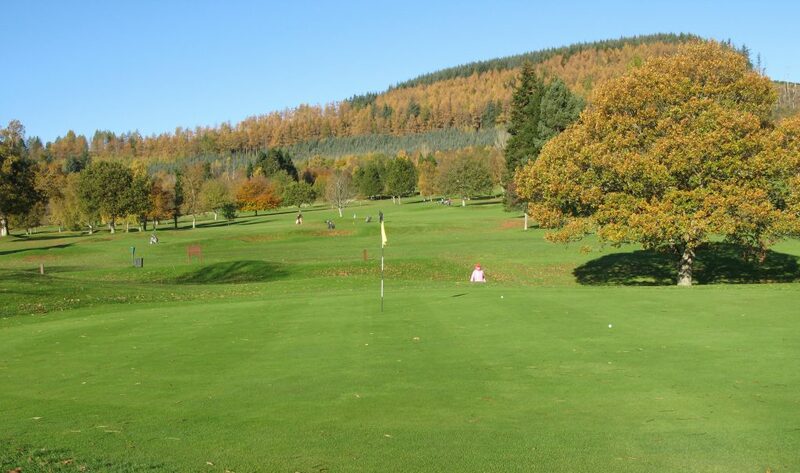 Crieff Golf Club’s main course, Ferntower, is one of Scotland’s highly regarded inland courses. The other course, the 9 hole Dornock layout, benefits from the same fine clubhouse and facilities, green keeping staff and well stocked pro-shop, making this a first rate choice for a holiday round of golf if you have a couple of hours to spare. The 9th green at Crieff’s Dornock course, with the clubhouse in the background. The club was established in 1891, and Old Tom Morris designed the main course, but the Dornock course only opened in 1980. The open and beautiful Perthshire parkland on which both courses sit was part of the Victorian Spa ground of the well known Crieff Hydro. 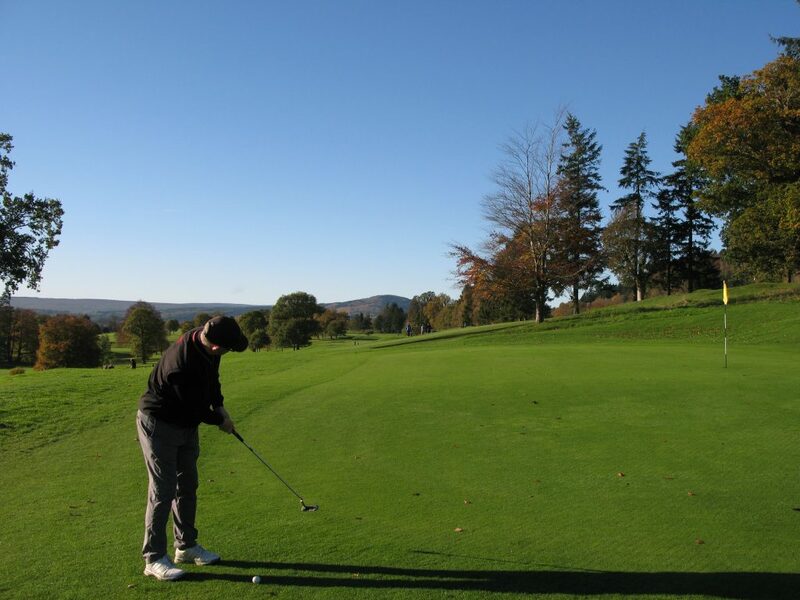 Crieff is the gateway town to The Trossacks and both manicured courses are just what one might expect to find here, a destination well worth visiting. 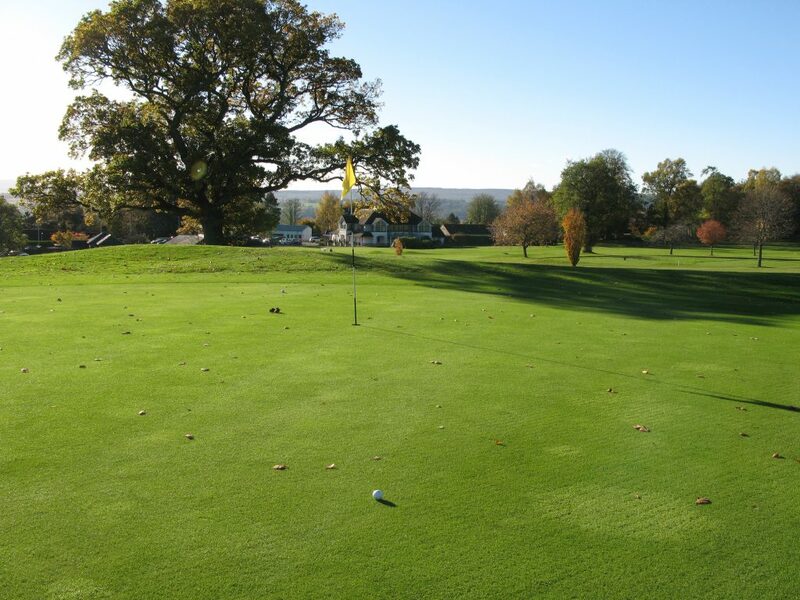 The Dornock course is short, and other than the first hole where out of bounds encroaches on the right, the fairways are very generous, so there is no need to carry too many balls. The greens are firm and very true and better than most 9 hole courses I’ve played. The course runs along side the Ferntower course, with some adjoining fairways. The course is made up of 5 par 4s and 4 par 3s, and it’s the latter holes that are the most challenging, since the par 4s are short and prove good par or birdie opportunities. This was very welcome for me after my difficulties playing at Tain last week. On the day, I shot 39, +7, and that included a lost ball (under leaves!) on the fairway at 7. Moly on the 6th green at Crieff Dornock, with the typical beautiful parkland surrounding. Dornock was in very good condition when I played, plus dowsed in glorious winter sunshine, with zero wind, which always helps keep the score down. 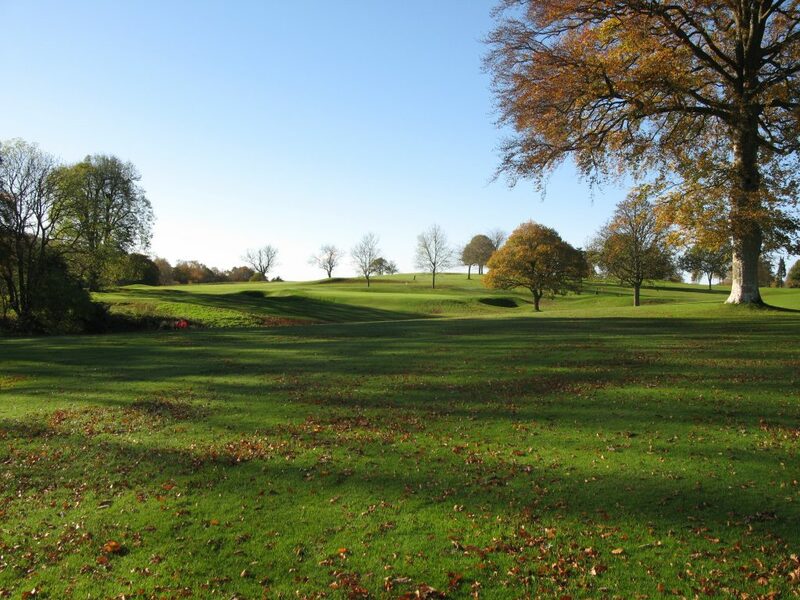 This course is highly recommended – it was only £5 for a winter 9 holes, and still good value at £12 for 9 holes in Summer. 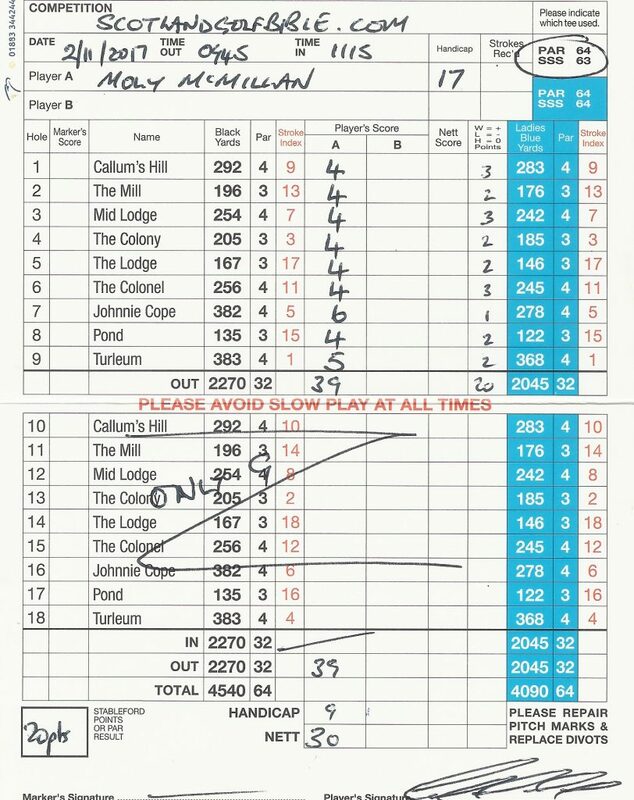 This entry was posted in 3 star, 3.5 star, 9 holes, Course Architech, Course Owned By, Course Quality, Course Type, Holes, Members, Overall Value, Parkland, Perthshire, Price, Region, under £20, Unknown, When Course Established. Bookmark the permalink.